The planning stage for building a new home represents a great opportunity to create a more energy efficient lifestyle. GIVEN that a home built today has an economic life of 25 years – and a likely real life of up to 60 years – it is worth thinking about what you can do to enhance the sustainability of your residence. Ongoing innovation in housing design and products provide improved opportunities to optimise heating and cooling options, as well as achieve more efficient lighting, ventilation and water use. And, while your ability to embrace innovations might partly depend on your housing budget, your location and personal taste, a great starting point can be in developing a checklist of sustainability features for your new dwelling. 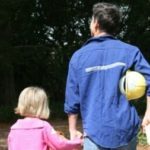 Being the founder of Resicert, a company that has performed more than 20,000 building inspections across Australia and that specialises in conducting pre-completion inspections (PCis) for new homebuyers, has enabled me to compile this summary of key considerations to help you plan for a sustainable home. ORIENTATION: A home’s orientation has a major bearing on energy use in the building. And you only get one crack at positioning your home to gain optimum benefits from our climate. So, if possible, orient your home so that living areas face north and windows are placed to allow the sunlight in. Make sure there is no major shading. either naturally, or through built-on structures such as alfresco areas or patios. to restrict access to this solar benefit. HOT-WATER SUPPLY: A gas­boosted ·solar hot-water system provides the most sustainable and cost-effective means for meeting a household’s hot water needs. VENTILATION: Consider installing a ventilation system to take advantage of natural airflows and breezes. HEATING AND COOLING: Insulation should be correctly installed with minimal gaps and at the appropriate R rating for insulating a given space. As a rule, every SOmm of thickness of insulation equals an R rating ofl.O. A typical roof space in Australia requires insulation with a minimum R rating of 3.4 on the ceilings. Insulation ratings can be mixed in different parts of the house. LIGHTING: A common myth is that low-voltage halogen downlights. often routinely installed in new homes. equate to low energy consumption. More lights are needed, therefore demanding higher energy. The best solution is LED down lights. If these don’t come as part of your build package, consider having your own installed. DOUBLE GLAZING: Along with lowering heating and cooling costs, noise reduction and improving security, double glazing allows natural light in while also maintaining views and comfort levels. ESKY ZONE: Identify an area, possibly your main living area. that needs to perform like an Esky. This zone could be treated with thicker insulation. blockout curtains, more efficient lighting, double glazing and wall insulation. AIRCONDITIONING: Does your new home need extensive airconditioning? 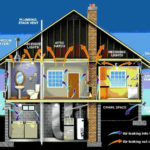 Choose other sustainability features such as insulation. orientation and ventilation correctly and then assess if and where airconditioning is needed in your new home. SOLAR PANELS: Use of this form of renewable energy is growing and commendable. But, before investing in it you might consider other “low­hanging fruit”, such as quality insulation, double glazing, efficient lighting and a ventilation system. The items listed above are in no way exhaustive and more information about sustainability is available in my book, Don’t Expect, Inspect!, and on Resicert’s website, resicert.com.